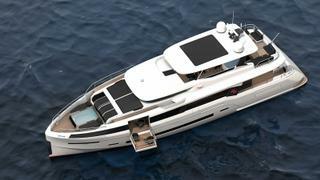 Turkish yard Sirena Yachts used the occasion of the 2018 Miami Yacht Show to announce that its flagship project, the Sirena 85, is under construction. 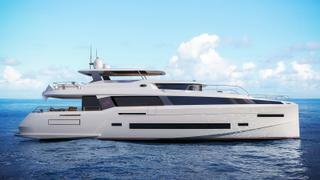 The launch date for this 26.74 metre raised pilothouse yacht has not been revealed, but the design combination was confirmed as Frers Naval Architecture for the exterior and Cor D Rover for the interior. 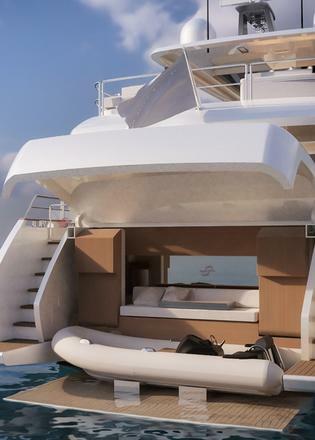 The interior will be offered in either a four-cabin or a five-cabin layout, with the option for a main deck master suite with a private fold-out balcony direct access and direct access to the foredeck infinity pool. 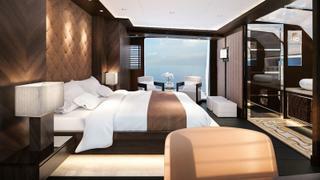 Interior designer Rover added that the décor was developed around a desire to bring the outdoors indoor. 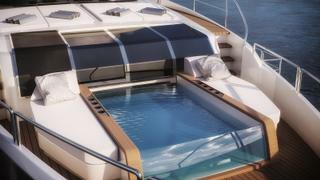 “Our interior design philosophy is based upon an inseparable link between the inside and the outside of the yacht,” he said. 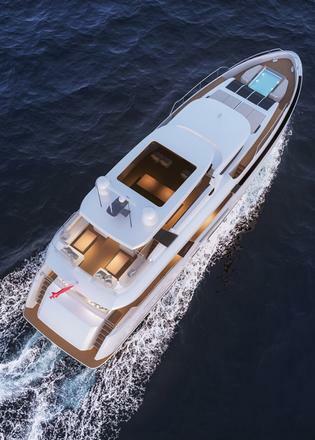 Other key features on board the Sirena 85 include a transom tender garage, which can be transformed into a beach club, and dining space for all ten guests on the sundeck under the shade of a hardtop Bimini. Power will come from a pair of 1,400hp MAN V12 engines for a top speed of 25 knots and a range in excess of 2,500 nautical miles when cruising at ten knots.